Some parents go to great lengths to get their children into a good international school in Hong Kong. Many put their children onto waiting lists years before they reach school age, and buy expensive debentures so their children would have a bigger chance of getting an interview or they could jump forward on the waiting list. According to Top Schools, an agent that helps parents with international school applications, debentures cost from HK$25,000 to HK$10 million for top international schools. In 2012, the government predicted Hong Kong would be short of over 4,200 primary and secondary international school places by the 2016/17 school year. The Education Bureau (EDB) said 8.2 per cent of companies looking to hire overseas staff could not do so because there weren’t enough international school places in Hong Kong for their children. To meet this projected shortage of international school places, the government has been allocating vacant school premises and greenfield sites for developing international schools, as well as providing interest-free loans for the construction of international schools. 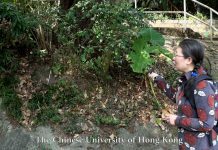 For example, it granted a piece of land in Tseung Kwan O for HK$1,000 to Shrewsbury International School Hong Kong Limited in 2015 to build a new international school. The grant was controversial because one of the company’s directors is Executive Council member Bernard Chan Chi-Sze. However, Ruth Benny from Top Schools says there has never been a shortage of international school places. “There are always enough, now we have an oversupply,” she says. 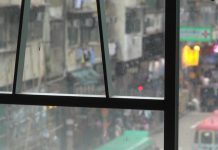 2015 figures from the English School Foundation (ESF) show that there is an excess of international school places in Hong Kong Island, Kowloon and the New Territories. Benny says there is a perceived shortage because most of the parents are fighting to get their children into ‘first-tier’ international schools. These schools are preferred because of their good reputation, convenient locations and diversified nationalities of the students. Ruth Benny from Top Schools explains why there is a perceived shortage of international school places, and what the differences are between the so-called ‘first tier’ and ‘second tier’ international schools. Because of the demand for places in these ‘first-tier’ schools, they are able to charge high fees. Government figures show that tuition fees in 28 of the 80 international schools in Hong Kong cost over HK$150,000 for one year. The high schools fees and money from debentures enable these schools to expand their campuses and improve their facilities, while ‘second-tier’ schools continue to have fewer resources for students who cannot afford the high fees. Currently, the government does not regulate additional fees that international schools charge. 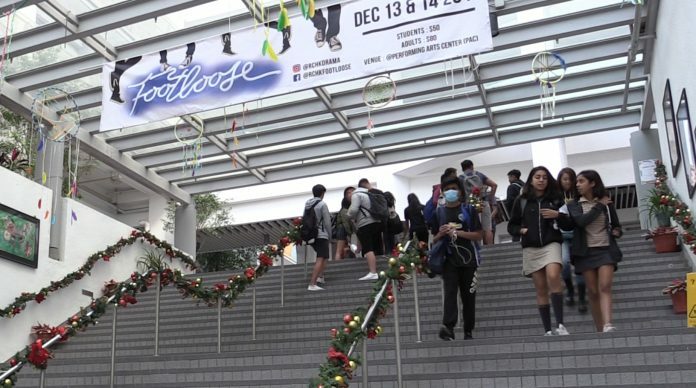 A spokesperson of the EDB says the debenture schemes are a common fundraising tactic among international schools, which “allow parents to join voluntarily”. The EDB says it requests schools to consult parents and other stakeholders before implementing these schemes, “with a view to reaching a consensus” on arrangement details such as transfer and redeem policy, and the related administrative fees. Despite the difficulties of getting into a top international school, the number of local students entering international schools has been soaring in recent years. 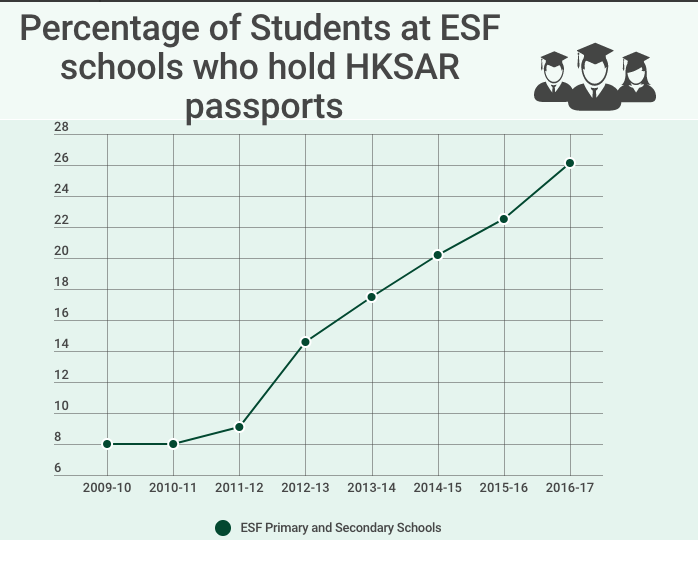 Figures provided by the English School Foundation (ESF) show that the percentage of students who hold Hong Kong passports in ESF primary and secondary schools has risen from 8 per cent in 2009-10 to 26.1 per cent in 2016-17. 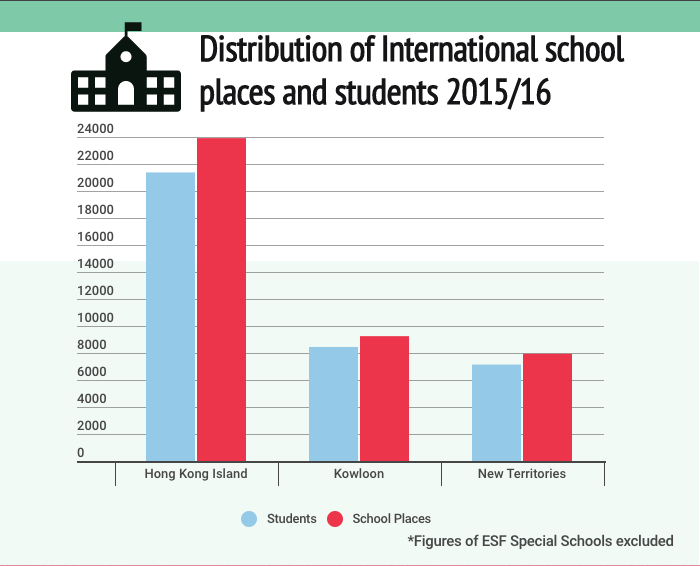 In a new study on the provision of international school places in Hong Kong released in February this year, the Education Bureau (EDB) projected the overall demand for international secondary school places from local students would increase by 105 per cent, from 2,931 in 2015/16 to 6,012 in 2022/23. Meanwhile, the number of non-local students is projected to only increase by 5 per cent, from 13,599 in 2015/16 to 14,312 in 2022/23. Virginia Wilson, the Chief Executive of the Child Development Centre of the American Chamber of Commerce in Hong Kong and a former board member of the English Schools Foundation (ESF) explains how parents’ disappointment in the local education system has created an increasing demand for international school places from local families. Graidey Lo, is a local Year 12 Renaissance School student who transferred from a local school to the ESF school at the beginning of this school year. She said she switched to an international school because the curriculum and the learning atmosphere was more suitable for her. “I feel like it [the local DSE curriculum] is a little bit too restrictive for me and IB (International Baccalaureate Diploma Programme) is all about being independent, and I feel like changing into an international school will be giving me more freedom,” Lo says. EJ Anonuevo, a Year 13 student who had studied in a local boys’ school for five years before transferring to an international school two years ago, also prefers his current school.“Here, it’s a lot more independent [how we study],” he says. EJ and Graidey share their experience of studying in local and international schools.